Smokie's first hit was "If You Think You Know How To Love Me." Smokie have sold over 30 million CDs, records and albums. Smokie had 13 top twenty hits during the 1970s. "Living Next Door To Alice" has sold over 10 million worldwide. 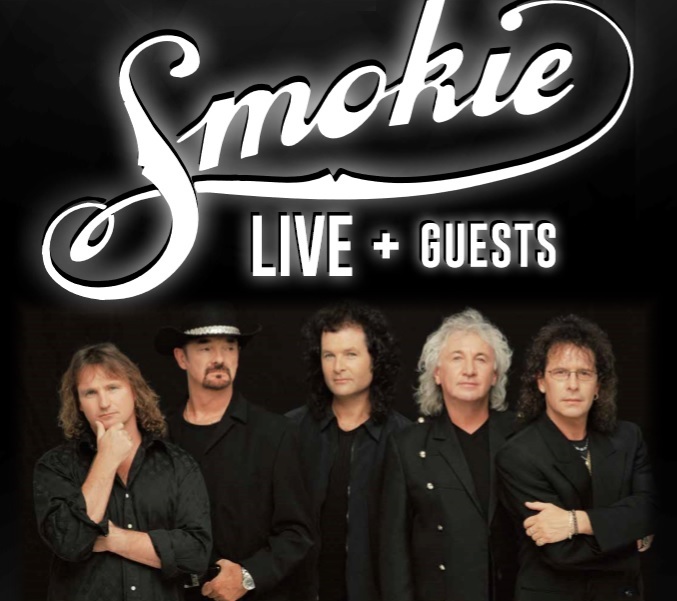 The Smokie sound is so distinctive that it has set the band apart from the rest, allowing them to remain at the top for over three decades and to still continue making new music. It's original, it's timeless and it's made Smokie one of the worldwide best selling bands, with a career few could better. Actually it is more and more fun to play when you get older. For the simple reason that you get better over the years", says keyboard player Martin Bullard. "It is a passion", says veteran Terry Uttley. "When I was a child I thought that if only I was a pop star I could sleep late every day. As if! We get up early almost every morning and I hate early flights more than anything else. Some days are hard but everything is easier when you love what you're doing". Drummer Steve Pinnell says it in plain English on behalf of everyone in the band that seems to become even more popular as time goes by: "I love this life! I can't imagine doing anything else.